This curtain was an intellectual one—it featured news coverage, for example, that neglected the concerns of the distant and the poor—but it was also something more. Lomax had begun to notice eerie changes in the way people across the planet moved their bodies, observing in particular the seeming omnipresence of the “the head-back, chest-out, erect posture of the North European elite.” Scholars in the new field of kinesics had found that human beings “respond below the level of awareness to the movement patterns they encounter,” and he warned that the global media was in the process of invading humanity’s very bones and sinews. Soon, even the denizens of the world’s most remote forests would be striding like stiff-necked London bankers. …a great library of the visual arts, where all important cinematic documents would be stored, catalogued, and analyzed. Such a temple of knowledge would cost no more than an atomic submarine, but its influence would far outrun the famed library of Alexandria or, indeed, all the libraries that ever existed, since it would preserve a living, moving record of all human behavior. 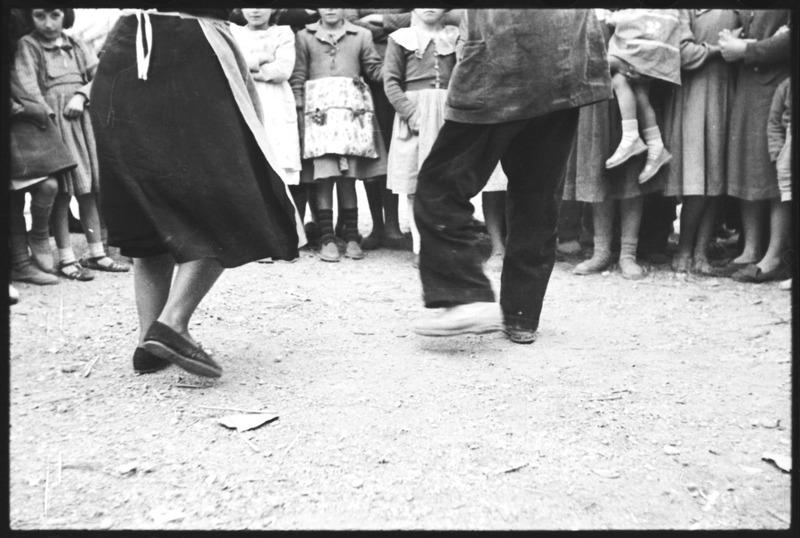 “Sevillana dancers in town square,” From the Alan Lomax Collection at the American Folklife Center, Library of Congress. Used courtesy of the Association for Cultural Equity. 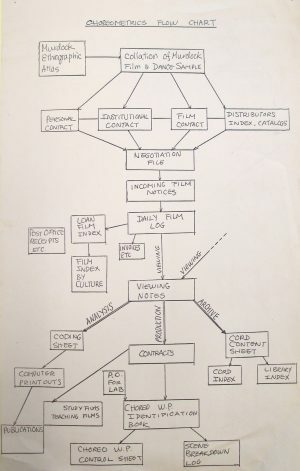 To provide statistical evidence for these correlations, Lomax, Bartenieff, and Paulay spent more than a decade “ransacking the film libraries of the world,” reaching out to absolutely anyone who might have filmed dance. In the dozens of boxes of letters that now fill the Library of Congress archives, one can find correspondence with anthropologist Margaret Mead and kuru researcher Carleton Gadjusek, but also a retired vascular surgeon, a Russian cultural minister, the Walt Disney Company, and the U.S. military. Ultimately, the Choreometrics team gathered more than 250,000 feet of raw footage, representing 2,000 different communities. Each piece was then logged, coded for dozens of different movement qualities, and entered into a database for further analysis. This massive undertaking was undeniably ambitious. Lomax’s second objective, however, was even more so: communicating these findings—and the methodology behind them—to a global audience. In essence, he wanted to teach the world to see dance in the same way that he now did. The process would not be easy, particularly as the qualities Choreometrics coded for were not obvious to the untutored eye, but Lomax remained hopeful. In part, this optimism stemmed from his experience coaching the graduate students who helped analyze the initial collection of dances. 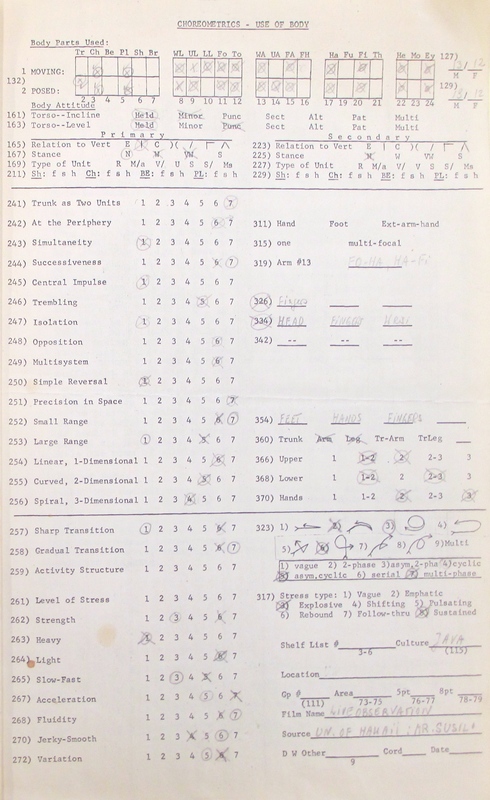 The instructions for raters at the beginning of the Choreometric Coding Book included the following caution: “The rater is advised not to attempt to count the frequency of a feature by breaking down the action or scene into similar parts or units and then summing up his impressions in numerical terms.” This flight from numbers seems, at first, at odds with a project that generally emphasized its quantitative, scientific credentials. Lomax hoped that such training could be extended to the audience at large, and his plans for publication reflected this radical sensibility. Though he did use the Choreometrics data to venture scholarly arguments about the relationships between dance patterns, work, culture, and physical environment, he never planned to produce an academic monograph. Instead, he envisioned a strange chimera of coffee-table book and scholarly tome. 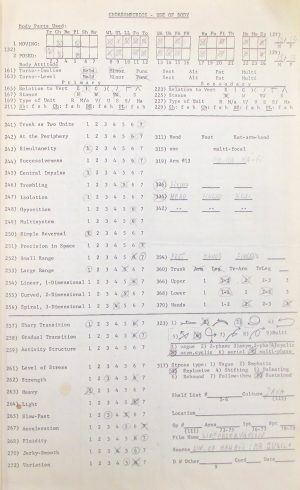 Not only would the book feature significant excerpts from the raw data, it would include coding instructions and blank versions of the coding sheets: an invitation to a DIY education in movement observation. In addition, Lomax hoped to make the films he drew upon widely available, whether broadcast on American public television—as he did with Dance And Human History (1975) and Palm Play (1977)—or screened privately to the far-flung communities they depicted. More than earlier salvage projects—which aimed to capture a past that would inevitably vanish—Choreometrics was future-oriented, dedicated to the active propagation of diversity and open-mindedness. “All authors,” Lomax wrote, “have their dreams. Mine runs this way: a folk dancer, an aboriginal choreographer, a student from some place away from the overwhelming mainstream picks up this book, looks through this atlas for his or her culture area and finds a pattern that is quite familiar—coming from his home or at least from his home ground.” Though, until this point, he may have been suffocated by the barrage of Western cultural media, “now he discovers that there are many other aesthetic alternatives created far away from the urban art and pop market-places, including one by his own ancestors. This style he can feel in his joints and muscles belongs to him or is akin to the one he knows.” He begins to “look at himself and his people with renewed esteem and begins to think, if he is a dancer, about what he can do with what he really knows. He has discovered that his own movement style is there, that it is composed of a special and fitting rearrangement of the same elements found in all human activity, but handled in an original style.” The natural body would return, triumphant, one more. Unfortunately, Lomax’s ideals fell short of his achievements. Crushed under the weight of its own ambition—and more than a thousand pages of data, photographs, and coding sheets—Lomax’s book was never published. And while his films were broadcast on American public television, it is unlikely that they ever made it back to their communities of origin. 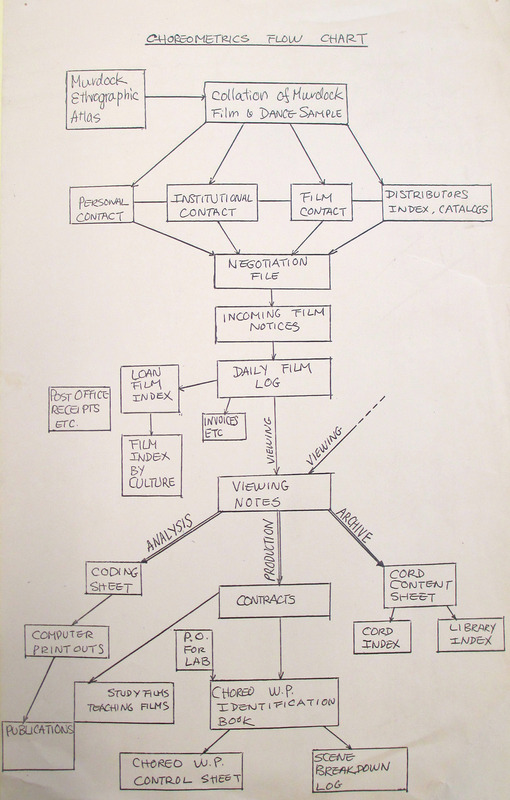 Though Lomax saw Choreometrics as an interactive medium, a cybernetic system in a world of unidirectional broadcast TV, the final product ended up far more conventional. With a characteristically modern idealism, Lomax believed in the power of vast accumulations to remake the world. In the end, however, it was not this transformational vision that determined Choreometrics’ fate, but rather the far more mundane realities of budgets, page limits, and distribution contracts. Thus, just as much as Lomax’s lofty idealism holds a lesson for how modern-day data-gathering projects might hold more radical potential than we have given them credit for, it is also a cautionary tale. In a world of seemingly frictionless exchange, it is easy to forget how profoundly dependent such projects are on the existence of robust technological, political, and social infrastructures. No matter one’s intent, ideals without materials do not utopias create. For more about Lomax’s biography and career, see Szwed (2011). Alan Lomax, unpublished manuscript for Dance and Human Culture, Box 4/18-01, The Alan Lomax Collection at the American Folklife Center, The Library of Congress. Lomax, Dance and Human Culture. Forrestine Paulay, Irmgard Bartenieff, and Alan Lomax, “The Choreometric Coding System,” Box 4/18-03, The Alan Lomax Collection at the American Folklife Center, The Library of Congress. For more on similar midcentury efforts to inculcate open-mindedness and diversity, see Turner (2013) and Cohen-Cole (2014). 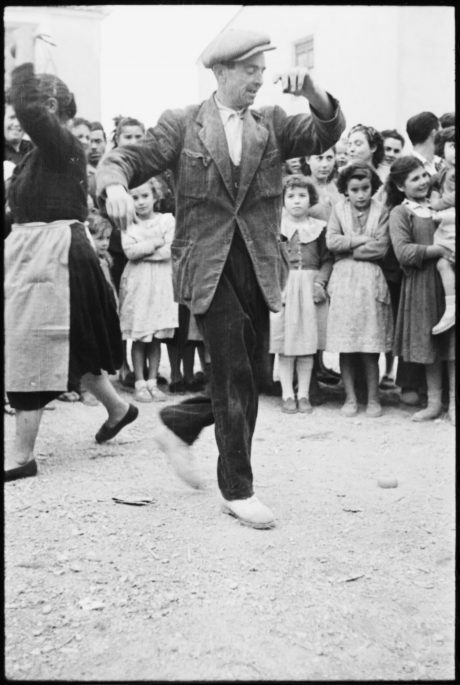 Alan Lomax, “An Atlas of Dance Styles,” Box 4/18-04, The Alan Lomax Collection at the American Folklife Center, The Library of Congress. Cohen-Cole, Jamie. 2014. The Open Mind: Cold War Politics and the Sciences of Human Nature. Chicago, IL: University of Chicago Press. Szwed, John. 2011. Alan Lomax: The Man Who Recorded the World. New York: Penguin Books. Turner, Fred. 2013. The Democratic Surround: Multimedia and American Liberalism from World War II to the Psychedelic Sixties. Chicago, IL: The University of Chicago Press.